This equipment which is usually used in stacking and reclaiming sandstone, coal and other assistant bulk material it is realized the unmanned operation and the mechanical-electrical-liquid integration. Now it is the most advanced large-scale homogenizing equipment in China which has the characteristic of large storage, small floor space, high degree automation. The technical characteristics and automation are the first class in China. Northern Heavy Industries Group Co., Ltd(China NHI), listed among Top 500 Chinese Enterprises, The major products include tunnel boring equipments, China Apron Feeder, China Stacker Reclaimer, Conveying Equipment, bucket wheel stacker reclaimer, circular stacker reclaimer, metallurgy equipments, mining equipments, coal machineries, power equipments, etc. With all the four qualifications recognized by ISO9001 Quality Management System. 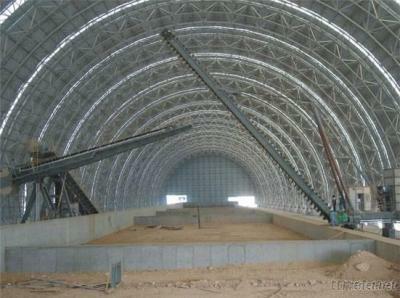 Rotary Kiln, Chain Grate, Dryer, Lubricating and Grinding Machine, Pelletizing Machine, etc. Northern Heavy Industries Group Co., Ltd(China NHI), listed among Top 500 Chinese Enterprises, The major products include tunnel boring equipments, Apron Feeder, Stacker Reclaimer, Conveying Equipment, China Conveyors, Conveyor System of China, Conveyor manufacturer, metallurgy equipments, mining equipments, coal machineries, power equipments, etc. With all the four qualifications recognized by ISO9001 Quality Management System.